Dead Running starts off with a bang and keeps on running, no pun intended! Cami Checketts combines mystery and romance in a fast paced page turner that I could not put down. While the action is occurring, you also have a young woman who is struggling to find her purpose in life. Cassidy has had multiple jobs, her own business and still feels as if she is missing something. She feels she may have found a direction to go in life when she wins the entry into a marathon. Determined to prove her grandmother and brother wrong, she begins training with the help of a hunky man. I love the conversations Cassidy has with herself while running. Hilarious! I liked that Cassidy had something to prove, not only to herself but her family as well. I could relate! I enjoyed Dead Running, and can't wait to read more from Cami Checketts. nobody trusts. When she finally gets a chance to run, someone else she cares about is taken. Running might be her only chance at survival, but she won’t allow another family member to be killed in her place. If you haven't read Dead Running yet, don't read Dying to Run as it will spoil the first novel for you. Once again Cami Checketts doesn't disappoint. Cassidy's life is once again in danger and she's not sure who to turn to or to trust. Cami Checketts packs a punch in this novella. So much happens between the characters and with Cassidy that when you finish reading you feel as if you've read a full length novel. 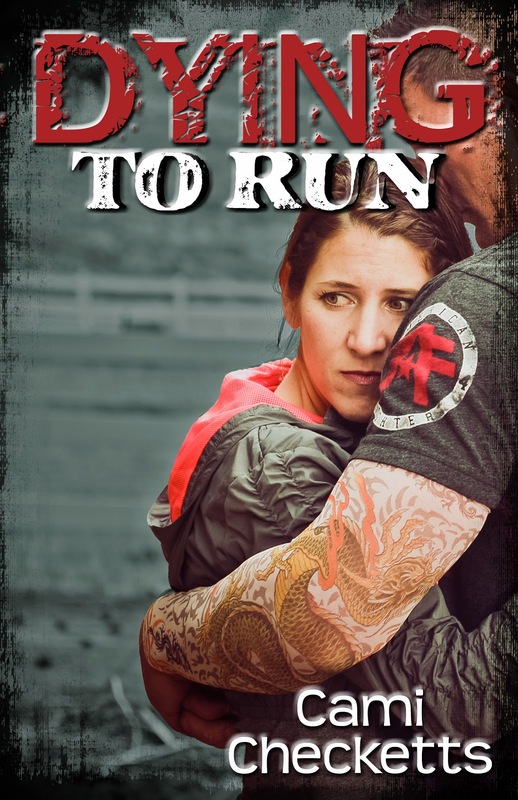 If you enjoyed Dead Running as I have, I highly recommend you pick up Dying to Run as well. 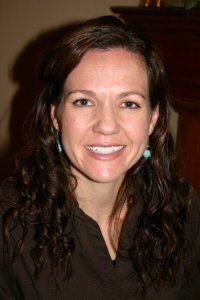 Cami Checketts was gracious enough to join us with a guest post today and to answer a question I still haven't decided the answer to. Thank you so much, Cami. Hope you are able to keep your resolutions! Cami, what is your New Years resolution for this year, and previous ones you were unable to keep? Thank you for asking about my New Year’s Resolutions. It’s been a crazy year and I haven’t stopped to plot and plan how I’m going to improve next year, so this is fabulous for me. Resolution #1 – Enjoy my boys more. I’m very goal-oriented and sometimes get so caught up in my to-do list that I forget to have fun. Thank heavens for four boys who never forget how to have fun and keep me laughing! Resolution #2 – Lose that last five pounds. Haha. You can all laugh along with me now. I make this stinking resolution every year and then about February I realize how miserable it is to live focused on that ugly five pounds and I tell myself that I’m healthy and my husband thinks I’m attractive and I give up the resolution, again. Resolution #3 – Stop wasting time on the Internet. I usually make this one and fail at it. Last year I set a timer for half an hour for Internet time and then I focused on actual writing. Lasted about two weeks. Any ideas you have would be appreciated! Resolution #4 – Love without question. I really want to focus this year on loving everyone I am around and not questioning or judging but trying to build up and encourage. being a human horse, cleaning up magic potions, and reading Bernstein Bears, she gets the chance to write fiction. Cami graduated from Utah State University with a degree in Exercise Science. Cami teaches strength training classes at her local rec and shares healthy living tips on her fitness bloghttp://fitnessformom.blogspot.com. Cami and her family live in the beautiful Cache Valley of Northern Utah. During the two months of the year it isn't snowing, she enjoys swimming, biking, running, and water-skiing. iamareadernotawriter.blogspot.com and sponsored by the author. VOID WHERE PROHIBITED BY LAW. Thank you, Emily! I'm so glad you enjoyed the books and really appreciate you sharing them on your blog.